Ahhh a three day weekend is upon us and it is so welcomed. I seriously love long weekends. Not because I get a break from my full-time job as a mother of three but because my hubby has Monday off. Oh Monday how I dread you. Monday’s they are just rough on three little children and a tired momma from the busy weekends we always seem to have. So what’s on the agenda this weekend? Well, we are trying to grow grass. If you remember me talking about the pumpkins growing in our yard and the sand problem we have, grass would be a welcome sight. Need I emphasize “trying”. I’m pretty sure my husbands going to stroke out if those little seeds don’t pop some green out. I think I’ll just keep myself inside and let him deal with his grass emotions. By the way do you know how much grass seed costs? I mean seriously, I had to buy black dirt in Iowa, home of black dirt and now spend a small fortune on grass-seed. I’m liking the sand more and more. Unfortunately I can’t convince my husband of that. And I’m pretty sure we would get kicked out of the neighborhood if we don’t start showing some green or so my husband says. I feel I can win them over with some blueberry thumbprint cookies. Hmmm….there’s an idea. Anyways, it looks like we have a pretty exciting weekend ahead, huh? I betcha can’t beat growing some grass. Okay, yes you can and please do! Have a life for me would ya! As my husband dreams of grass, I will continue my obsession with food. I’m sure I’ll find something to whip up over the weekend. Regardless, I hope you all have a lovely holiday weekend and light up that grill. 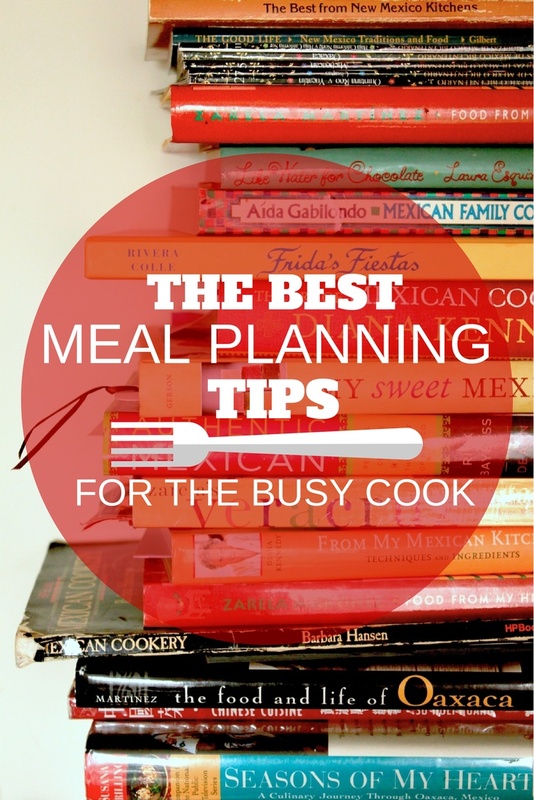 Oh, and make sure you start September off right with a plan, a meal plan that is. Did you download my gift to you yesterday? If not, go get it! 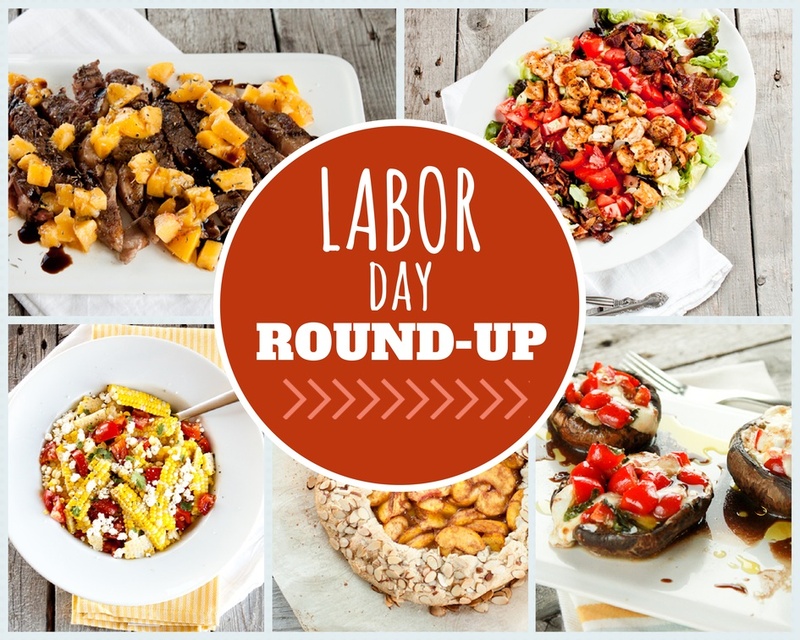 I’ll leave you with my five favorite summer recipes in this recipe roundup. Psst — stop back tomorrow for one more how-to post! Adios! 1. 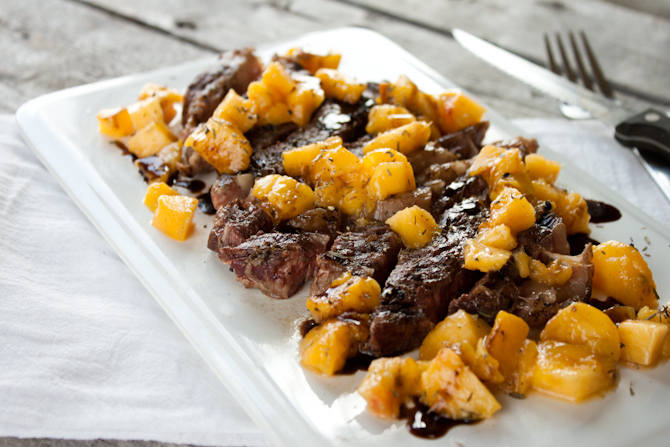 Peppered Steak with Grilled Peach Salsa – Everyday, I could eat this everyday. I beg you to try this out. Seriously my favorite recipe all summer long! 2. 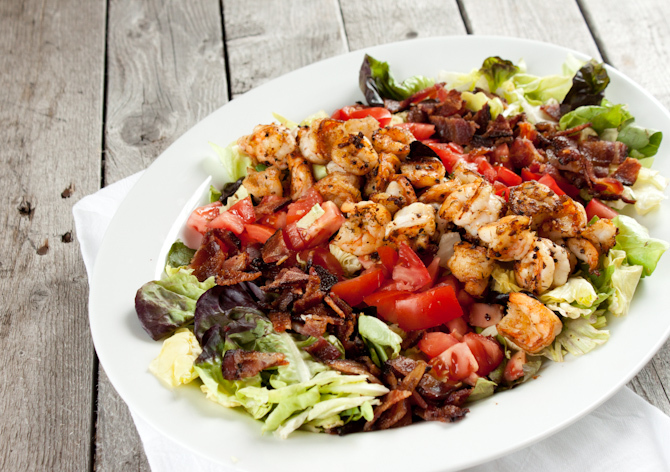 Shrimp BLT Salad – Just one more combo to use those garden fresh tomatoes, lettuce, thick cut bacon and some garlic-buttered shrimp. Yes, please! 3. 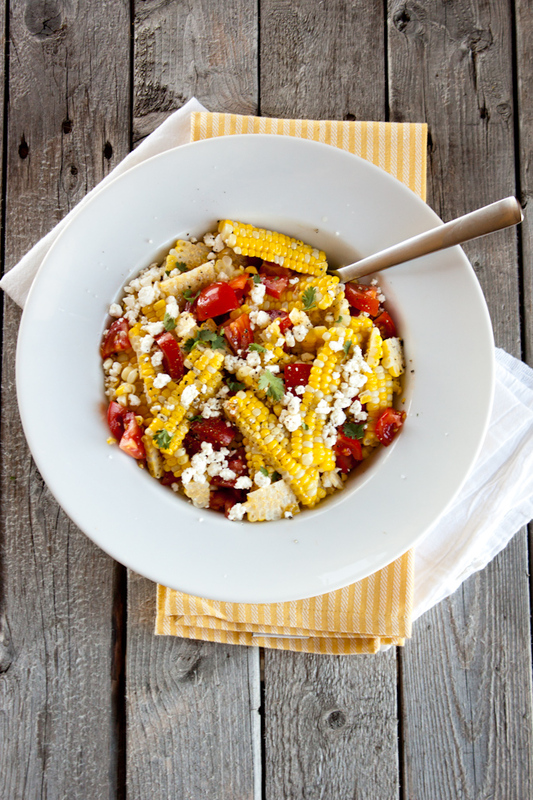 Buttery Sweet Corn, Tomato and Feta Salad – The best way to use up that leftover sweet corn. And that balsamic, need I say more? 4. 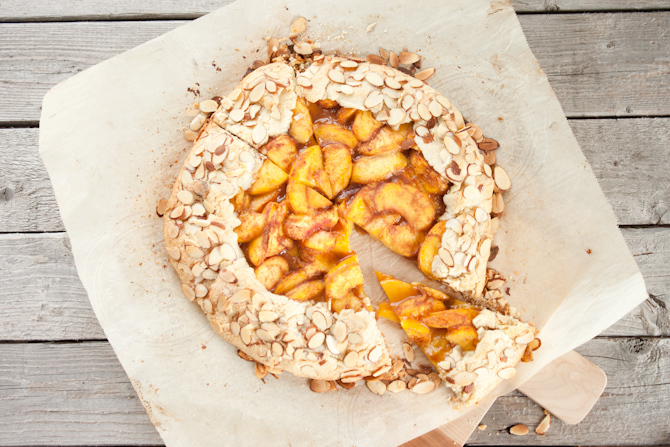 Rustic Peach Galette – You could make this 100 different ways and it would still be A.M.A.Z.I.N.G. 5. 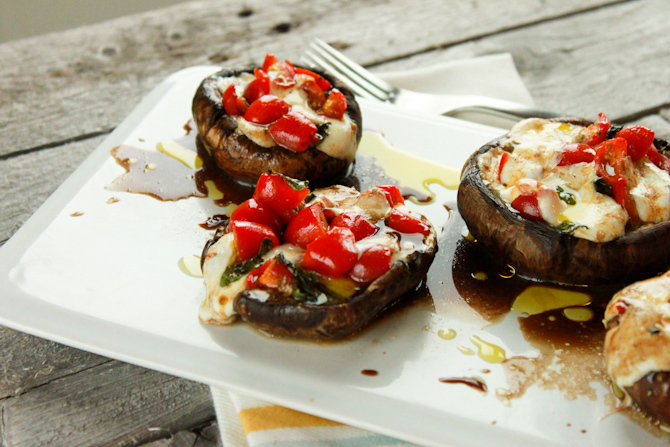 Caprese Stuffed Mushrooms – Great to take to a grill-out or make not to share, I won’t tell.